TV with Thinus: MultiChoice and M-Net dropped DStv subscribers in South Africa and across Africa in the cold when its untrustworthy DStv Now app again crashed with technical issues, as its pay-TV customers tried to watch the start of the 8th season of HBO's Game of Thrones. Angry DStv subscribers and M-Net (DStv 101) viewers are furious after MultiChoice and M-Net dropped customers in the cold when its untrustworthy DStv Now streaming app once again crashed on Monday morning at 03:00 when they wanted to watch the premiere of the 8th season of HBO's fantasy drama series Game of Thrones. Both MultiChoice and M-Net were asked in a media enquiry on Monday afternoon for comment as to why the DStv Now app didn't work for the M-Net channel and didn't stream Game of Thrones at 03:00. By Monday night neither MultiChoice nor M-Net has bothered to respond to TVwithThinus' request for comment to customers, fans and viewers of its pay-TV service and content. There's been no public apology, nor any statement from either Nicolas Callegari, senior manager for customer experience for MultiChoice's Connected Video unit, nor Nkateko Mabaso, M-Net CEO in Sub-Saharan Africa, about the botched DStv Now customer experience. Many DStv subscribers and Game of Thrones fans in South Africa who are M-Net viewers woke up or stayed up specifically until 03:00 to watch the 8th season premiere of the drama series but were in for a rude awakening when they were massive let down by MultiChoice and M-Net. 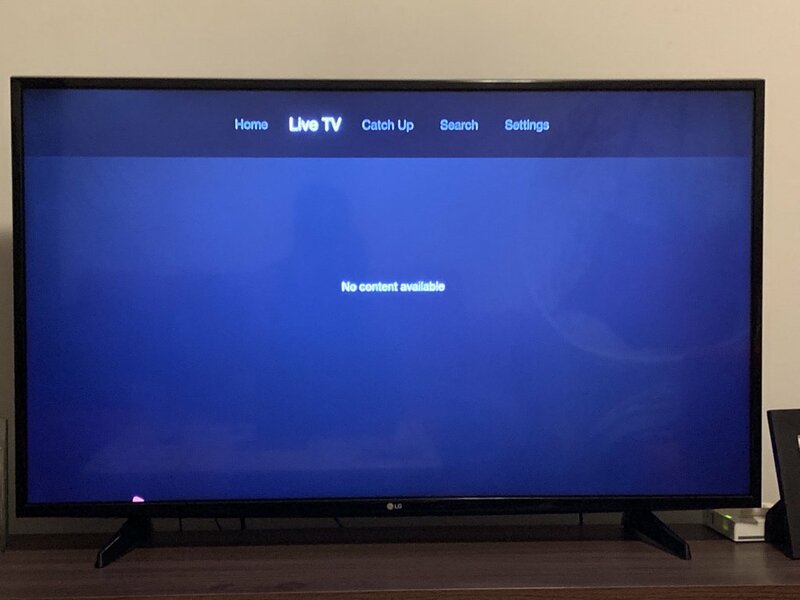 On Twitter MultiChoice that seemed clueless as to what its problem is, said that DStv "seems to be experiencing a technical issue with our live streams but our technical team is hard at work trying to fix the problem". It's not clear what went wrong, or when it was fixed but it caused embarrassment for MultiChoice and M-Net, inflicted further distrust in the temperamental DStv Now app and caused paying and frustrated DStv pay-TV customers to miss Game of Thrones that they wanted to watch live. MultiChoice plans to launch a stand-alone version of DStv Now later this year but with these types of ongoing problems it's not clear whether DStv subscribers will trust MultiChoice to actually be able to deliver such a service without ongoing technical issues and when it counts. "DStv, you've promoted Game of Thrones so much and how it's gonna be live-streamed from USA yet your app isn't working. Your subscription fees are high and this is unacceptable service ... or lack thereof. Utterly useless," said Damien Williams. In Kenya the DStv Kenya subscriber Lewis Olimba said "Where is the need of paying DStv Premium when we watch Game of Thrones a whole 24 hrs later?". In Nigeria the DStv Nigeria customer Alabi Abolade said "Such a poor online streaming services from DStv Nigeria. Stayed up late just for my DStv Now not to load live TV. Now how am I supposed to stream Game of Thrones?". One upset DStv subscriber composed a poem: "For the night is dark, And full of terror, especially when the DStv app, gives you an error". Another DStv subscriber slammed MultiChoice and M-Net for their poor communication, saying "Still waiting for an apology from the ignorant dweebs handling DStv social media. They ignored customers all morning and tweeted spoilers". "DStv I literally hate your service!" said Peter-John. "DStv you really want to piss off a nation by 1) the DStv Now app crashing on the morning of Game of Thrones S8 premier and 2) NOT having the decency to notify users that Game of Thrones won't be available on DStv Now. What witchcraft is this?" asked Kavisha Pillay. LadyRay said "DStv it is very rude and unprofessional of you to keep tweeting about watching the show through a crashed DStv Now app! Not even a tweet addressing the issue. This is why we'll continue giving our money to Netflix! Right now I'm ready to cancel y'all!" "And it is false advertising to tell us you'll stream Game of Thrones live on the DStv now app and then not deliver. Worse of all not even care. Check your mentions". @DStv @DStvCare what the hell is wrong with the dstv now app ?????? And it is false advertising to tell us you'll stream #GameofThrones #GoT live on the DStv now App and then not deliver. Worse of all not even care. Check your mentions beyps!! ALSO READ: TV CRITIC's NOTEBOOK. The execution of M-Net, Nu Metro and Johnnie Walker's cinema screening of HBO's Game of Thrones season 8 premiere was tardy, messy, off-brand and lacking attention to detail for each of their brands in a big way. How disappointing. ALSO READ: 'I took Game of Thrones leave': South Africans stay awake to watch the 8th season premiere of Game of Thrones on M-Net at 3am at Nu Metro cinemas as show's conclusion is set to shatter rating records. ALSO READ: TV REVIEW. The Game of Thrones season 8 premiere signals that this Neverending Story will have an end.